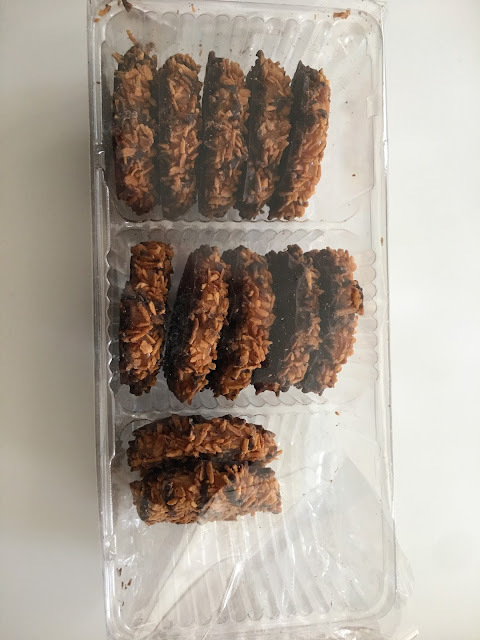 One of the classic girl scout cookies, the samoa. This is my favorite girl scout cookie because the coconut paired with chocolate and caramel is an unbeatable flavor. These were gone within an hour of buying them.